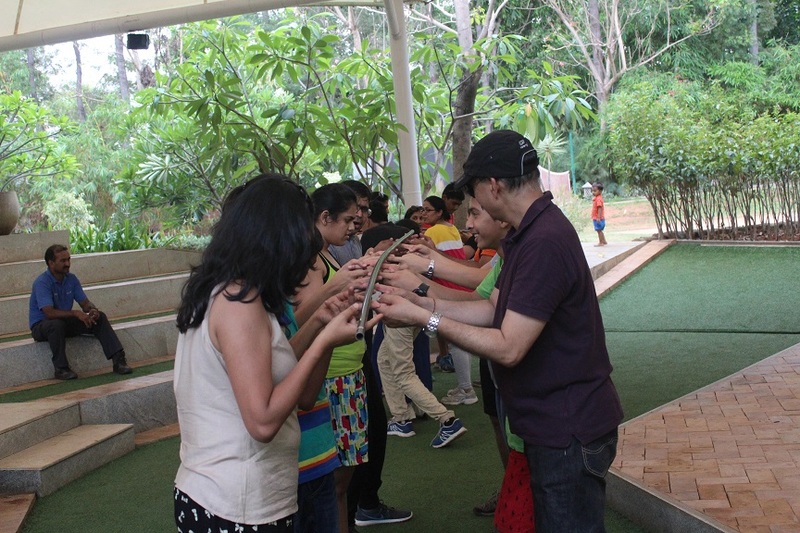 Maybe you feel opinion that corporate outings are just a thing of fashion, and must be done since everybody is doing, it and you are even questioning the necessity of these trips. 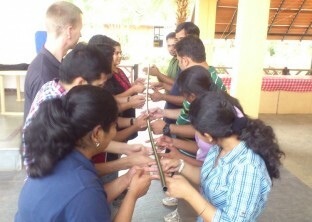 Let us tell why these trips are imperative. 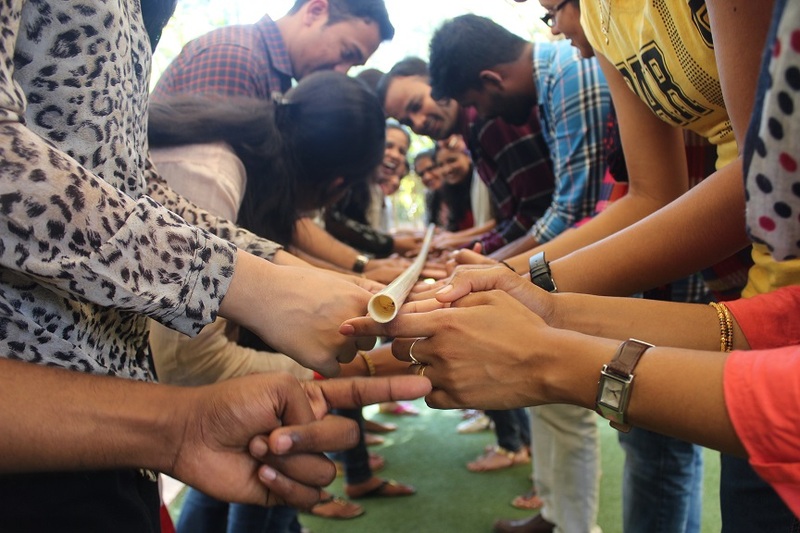 In today’s stress- filled corporate scenario, these outings become important in order to preserve the well-being of the employees of a company. 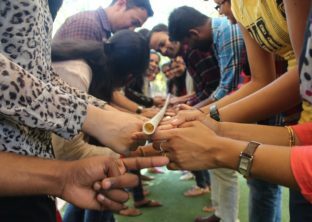 An employee in his relaxed state of mind is capable of coming up with more creative ideas than when thrust into a pressure cooker situation with deadlines breathing down on the back of his or her neck. 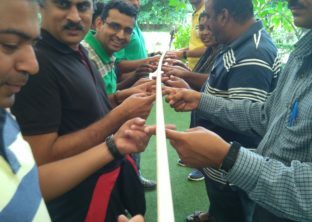 It becomes necessary to offer your employees a break and maybe give yourself a break as well, from all the pressure and allow them to refresh and have a little fun while relaxing. 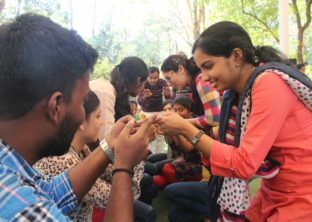 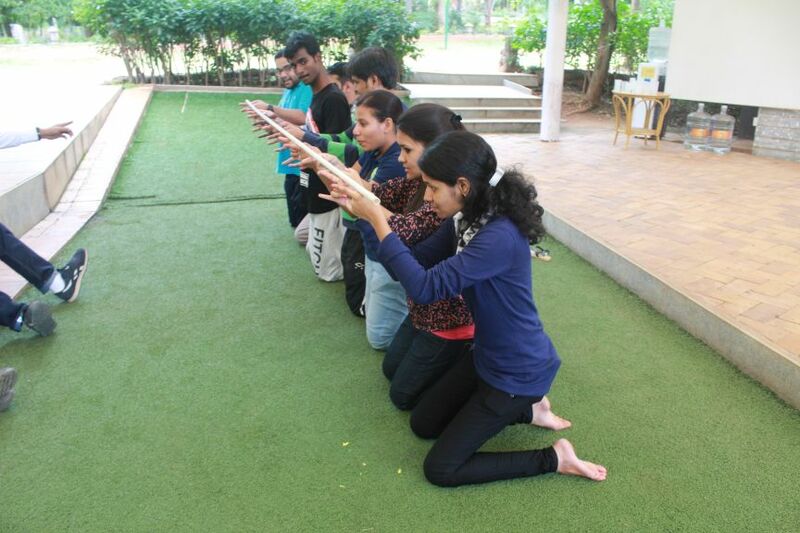 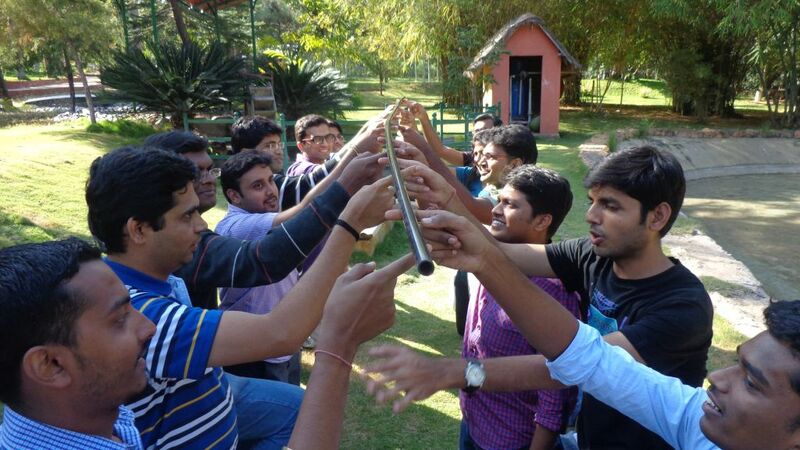 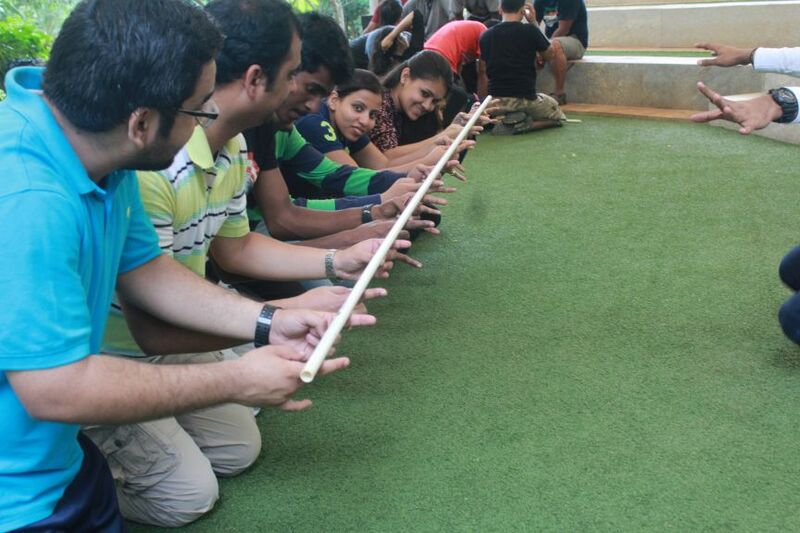 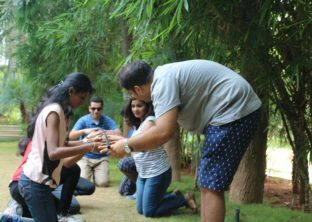 Discovery Village realises this need and has specific team building activities in Bangalore and other locations designed to provide you and your team with activities designed to relax the mind and ensure that you find these activities diverting. 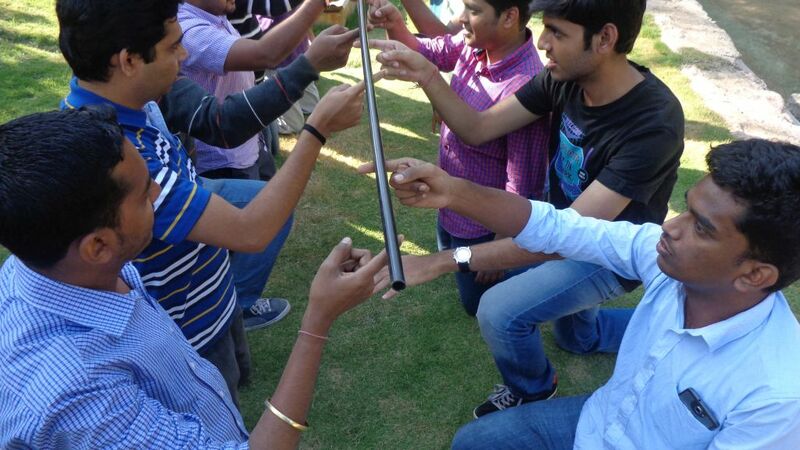 In looking for a team building exercise, you have to look no further than Helium Stick. 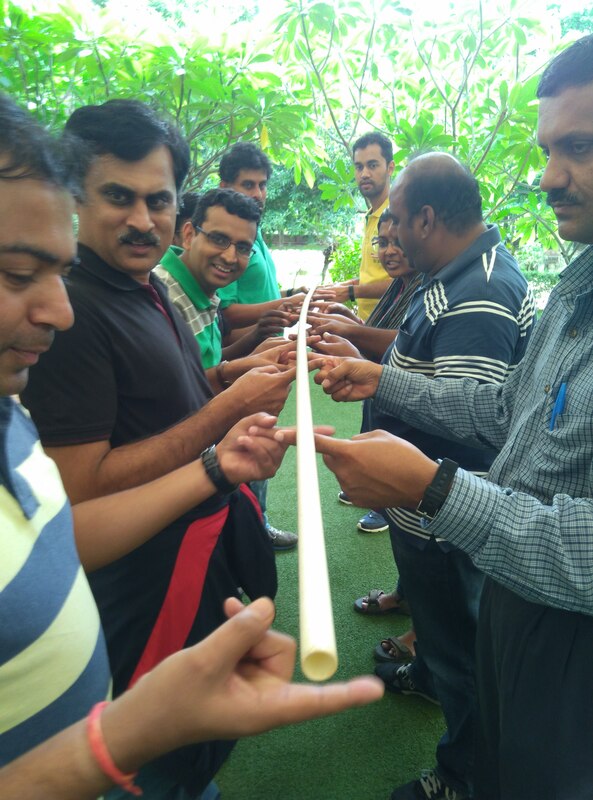 Our activities are simple and are designed to make sure that even the most introverted member in your team is comfortable enough to participate in such activities. 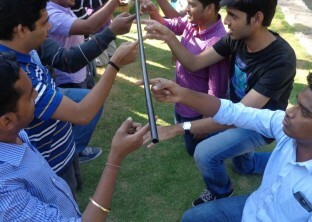 The Helium stick is a lightweight rod of varying lengths used depending on the size of your team. The team members are then asked to stretch out their arms in front of them with the index finger pointed out. 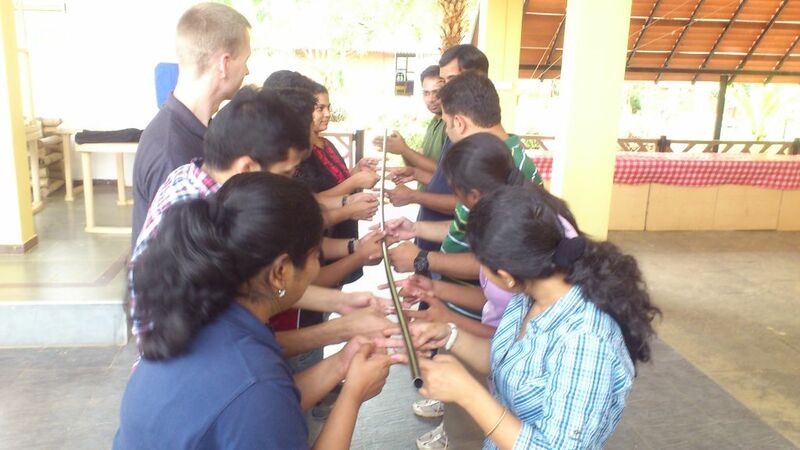 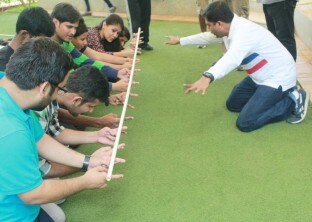 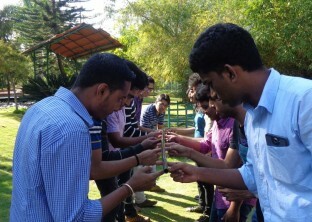 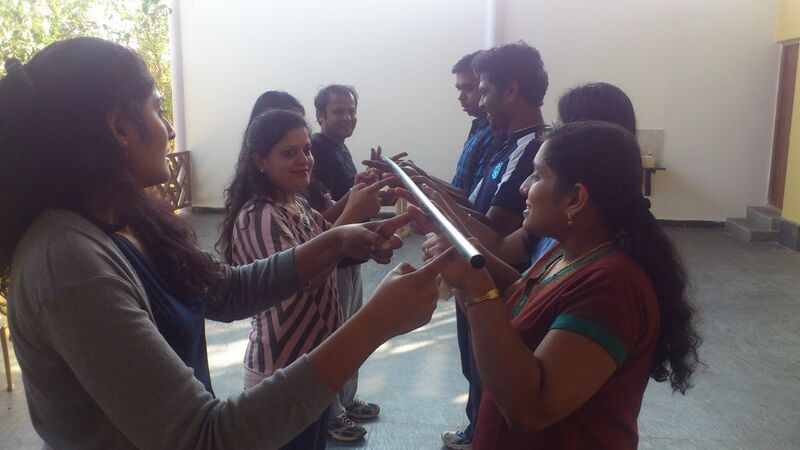 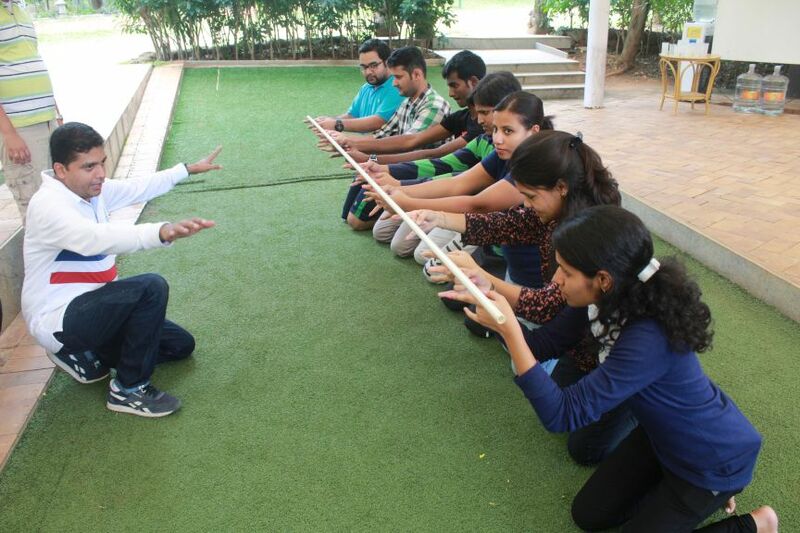 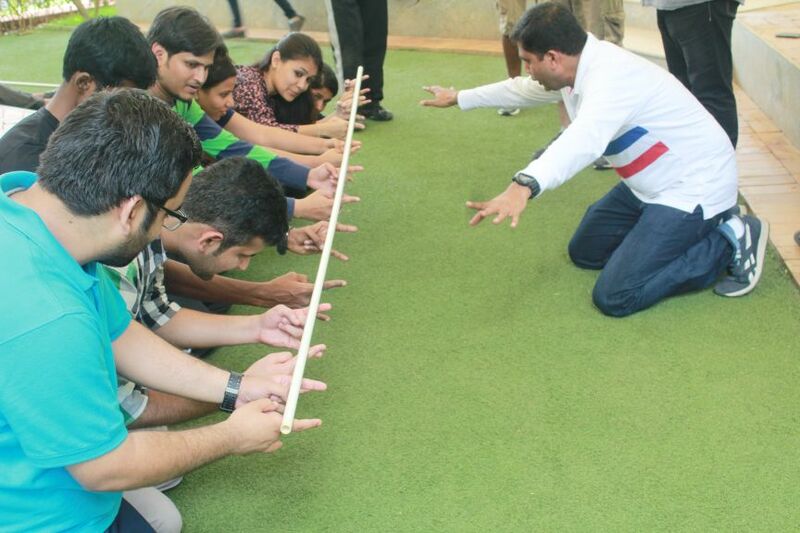 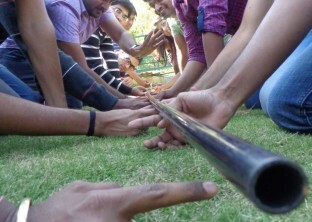 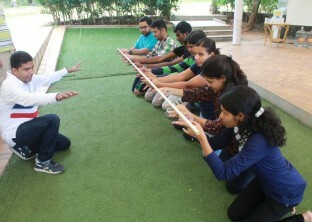 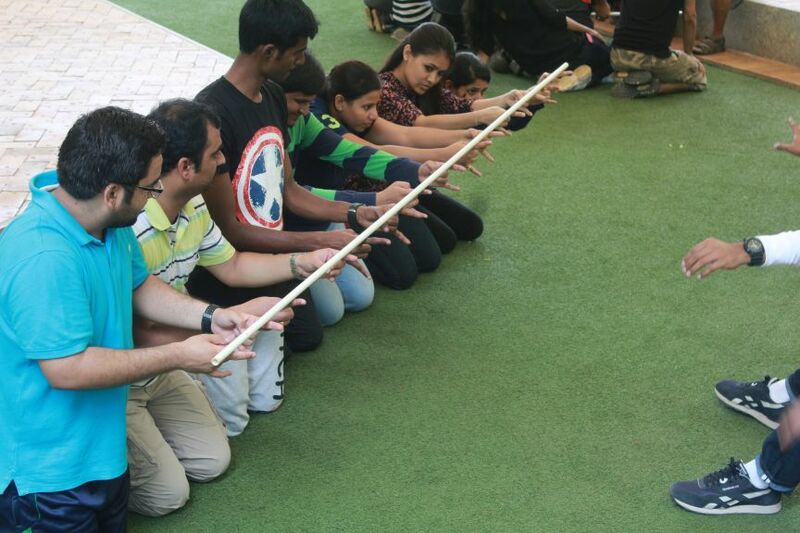 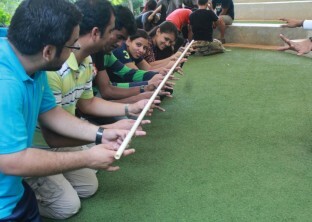 The helium stick is laid on the outstretched fingers, once the group members have adjusted the height of their outstretched arm in order to make sure that every member of the team is touching the stick, the challenge is to lower the stick all the way to the ground and to bring it back up without any of the members losing contact with the stick. 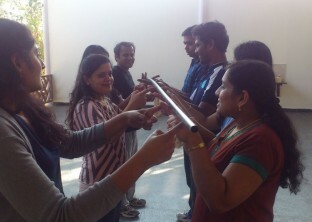 If the facilitators of the activity discover any member of your team is not in contact with the stick, your team will have to start the activity all over again. Our idea is to get you and your team to work at the same pace, to be able to understand that various members of your team are naturally tuned to working at various paces, and the adjustments that you would need to make in order to ensure that you and your team are on the same page. 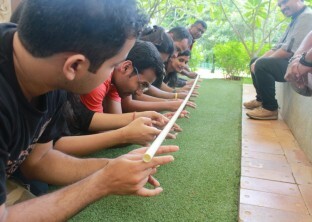 The final aim is to ensure that you are capable of making yourself and your team work at the same pace without any discomfort. 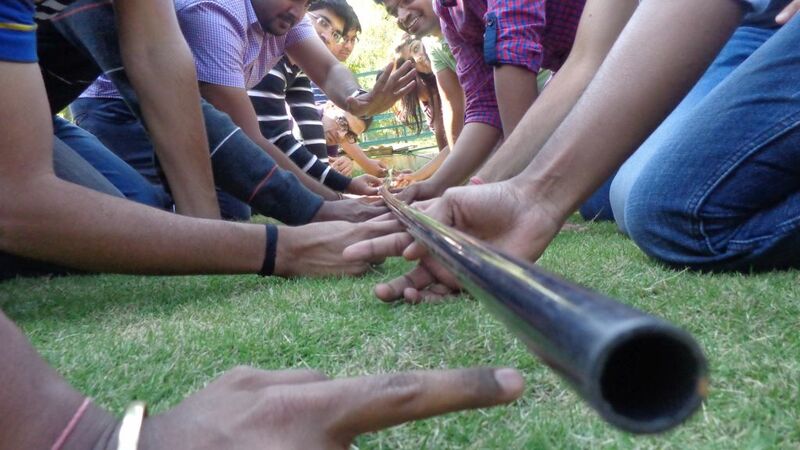 A simple but great game designed to be able to nail the a to z of team communication, this is a great option for any team, whether new of old. 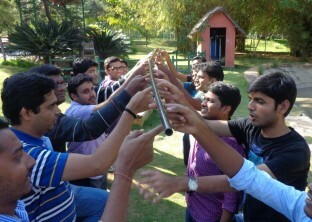 Such corporate outings have been the birthplace of many brilliant ideas that arise during casual brainstorming sessions. 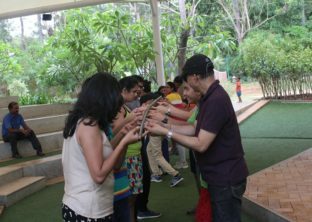 Corporate outings are a great way to get to know people from your office, strengthen the existing bonds, or make the newbies feel welcome. 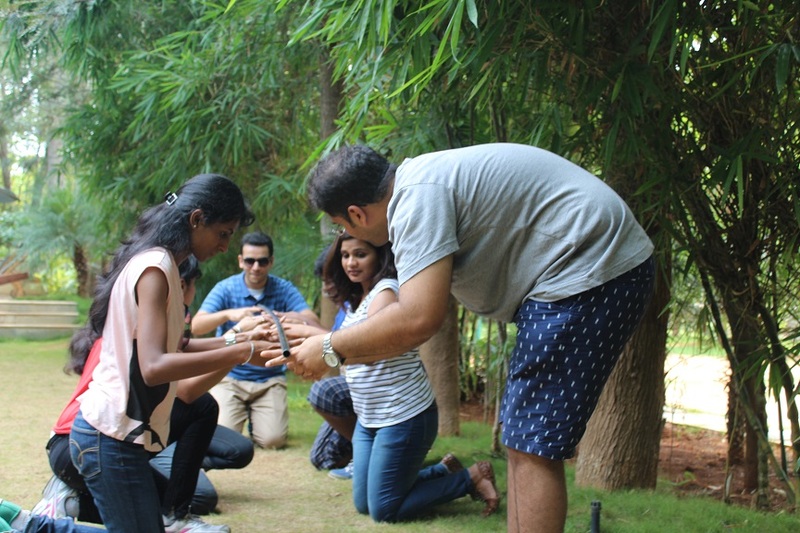 We at Discovery Village staunchly believe in the absolute necessity and goodness of corporate outings and have 4 lovely properties waiting for you to take advantage of. 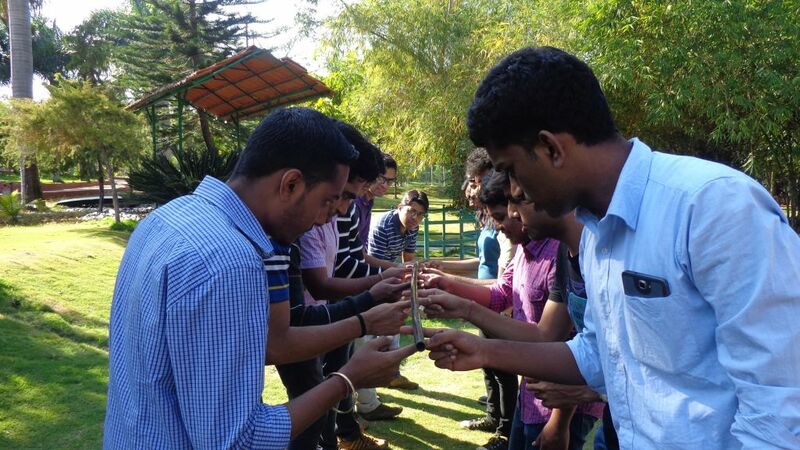 We boast one of the best resorts in Masinagudi, Mudumalai, hill resorts near Bangalore, corporate outings in Bangalore and the newly opened resorts in Kabini!